At Maconi we produce multifunctional modular hall furniture, storage, space saving solutions and a variety of home accessories since 1980. Our products allow a great deal of customization and modularity: our aim is to open up space in any room of your house, which is pursued through wide and up-to-date collections. Our Hallway Furniture pieces make it easy to obtain multifunctional and made to measure storage solutions. In order to fulfill many needs hallway furniture sets may include shoe cabinets, mirrors, coat hangers or even built-in ironing boards. The Space Saving Furniture catalogue offers a wide range of multipurpose solutions for small, yet well-organized homes. Console tables that convert to dining tables, folding ironing boards and slim shoe storage cabinets. Home Accessories: coffee tables with storage and drawers, wall mounted bookcases and shelves, wall key boxes and umbrella stands. All you need for a beautiful, functional and well-organized house. Maconi furniture and home accessories are available for purchase at our Partner Retailers throughout Italy. Click on the map to contact us: we will help you to find the best retailer location close to you. If you are a retailer abroad feel free to contact us. 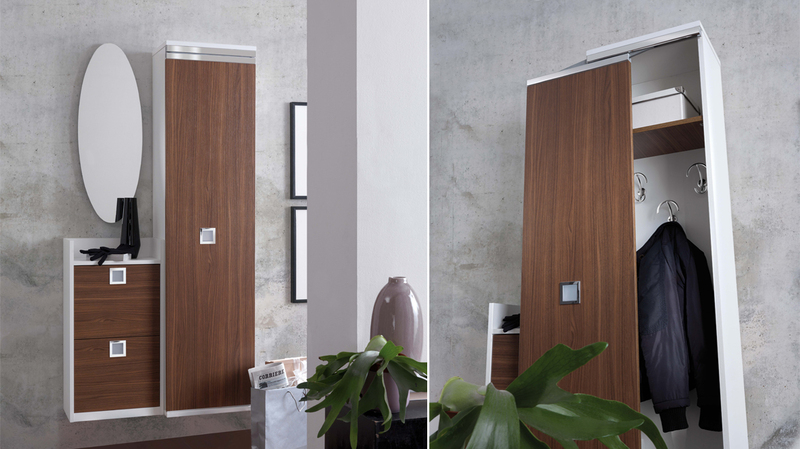 The hallway furniture collection features multi-purpose modular hall wardrobes, clothes storage systems, shoe cabinets and racks, wall mirrors with hooks and coat stands. Narrow console tables that turn into dining tables or writing desks. 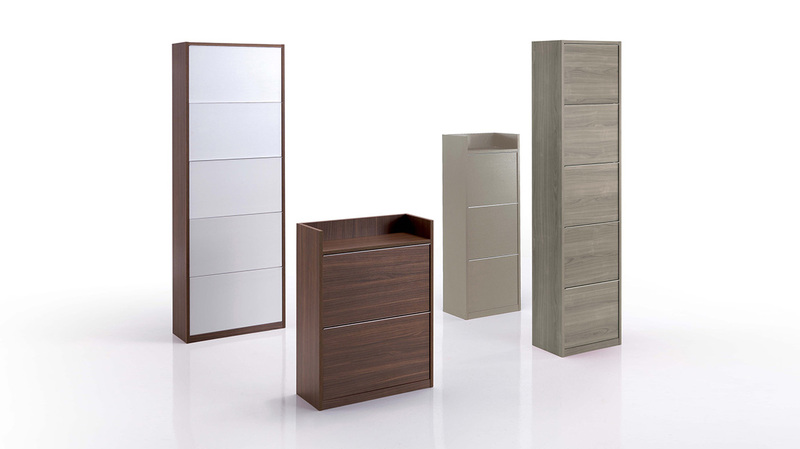 Multifunctional storage units and shallow shoe cabinets with drop down compartments, hinged or sliding doors. Our wide range of home accessories offers a variety of pieces of furniture and functional objects for everyday use: coffee tables, bookcases and modular shelving, key hangers. Meet Easy, the extending console table that turns into a dining table for up to 8 people. Flats get smaller and they need clever organization of the space: with Easy table top goes from 52 cm to 200 meters in seconds. 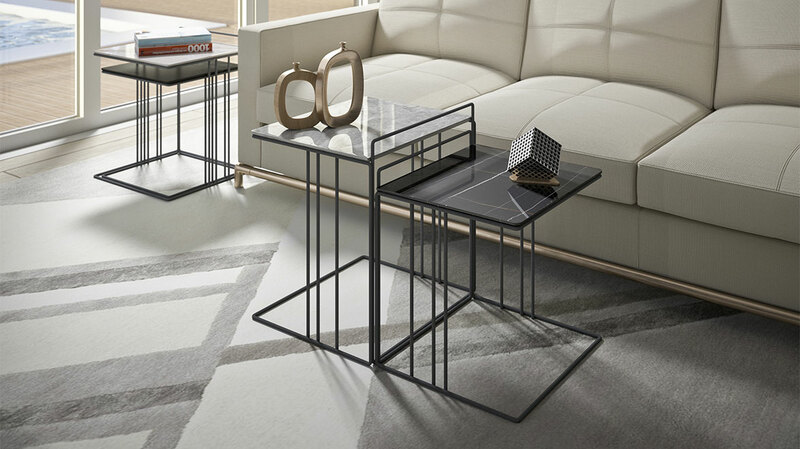 New coffee tables in Maconi catalogue: a new line of living room coffee tables with charcoal black painted metal legs and top available in melamine covered wood or the brand new marble effect stoneware finish.